One of the joys of producing the John Lennon Tribute CD has been asking Bermudian singers to be a part of a Community Song that expresses LOVE & UNITY. 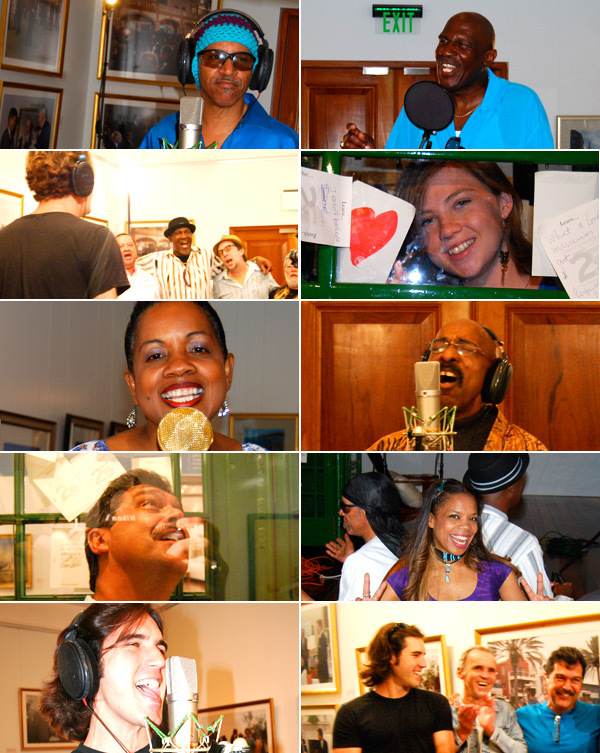 The song brings many singers together in a spirit of ONE LOVE for the Bermuda Tribute to John Lennon. Producer Felix Tod gave the music back track an “Island Feel” with a distinctive reggae beat. The song was recorded in the Rick Faries Gallery at the Masterworks Museum of Bermuda Art. The featured singers are: Wayne L Furbert, Ed Christopher, Dennis Moniz, Will Black, Paul Harney, Traceylynne Harney, Gita Blakeney, Robert "Sai" Emery, Ronnie Lopes, Francesca Dill, Adam Melvin. The LOVE SINGERS CHORUS is comprised of many singers who can be seen in the Music Video. Lucinda Spurling the acclaimed Bermudian film director has filmed scenes of people in Bermuda from one end of the island to the other. will resonate with people everywhere! All you need is Bermuda!